Today has been a busy and fun day. Taking time to thank all the father figures in my life...my Dad and my husband. 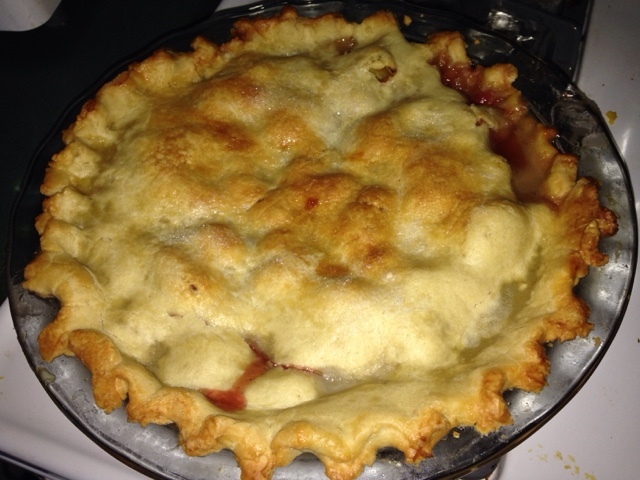 While they prefer to remain anonymous, I have made a meal for one complete with homemade chocolate ice cream and taken the other out to eat and made a strawberry rhubarb pie for him. I have recipes to share as all recipes turned out very well. I made the recipe exactly like the instructions and it turned out fabulous! A nice flaky crust and not too much sugar. My Dad and I have a deal- he bought me the rhubarb plants years ago, in exchange for a yearly dessert made with rhubarb. A definite win -win situation! 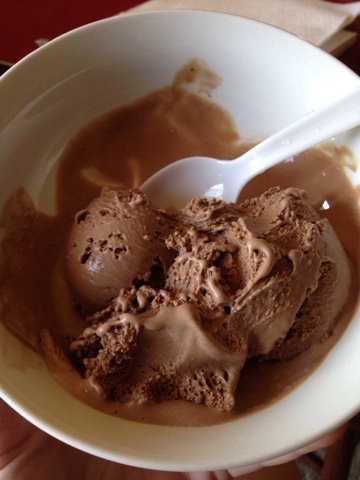 This ice cream is very smooth and creamy! I hope you give either of these recipes a try and share with your loved ones.